Okay, I know this is a little premature, but I have this paranoia that I won’t post the day of Easter, and then it’ll be too late! This picture was taken on Thursday evening. I know. 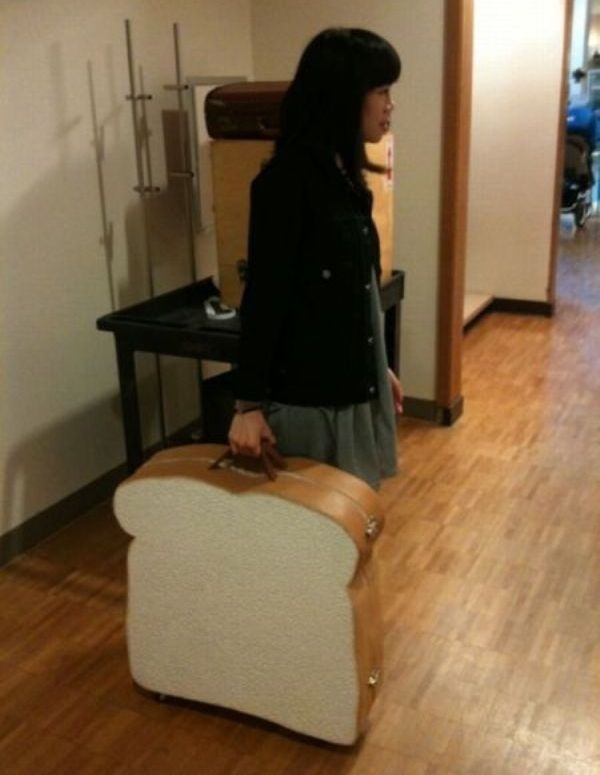 It’s a terrible Photoshop job on an already terrible phone-cam photo, but hey, you work with whatcha got! Manda called me and asked if I would help her maraud her preschool, and as it is a grand tradition, I said YES. 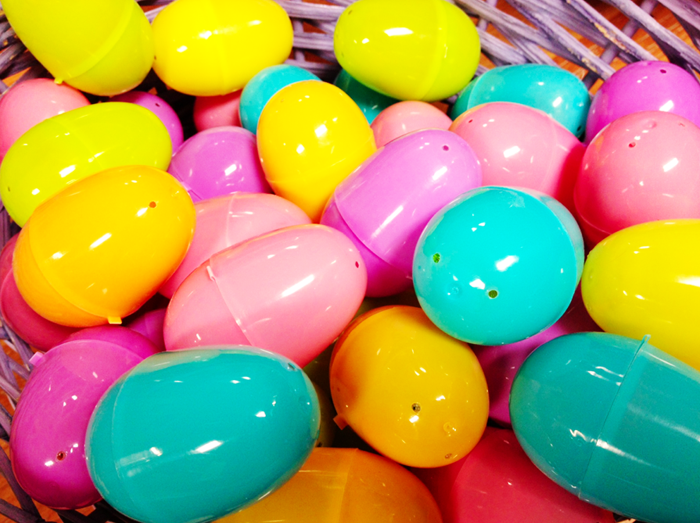 We went to Diddams and Target and bought all sorts of fun, Easter-y doodads. 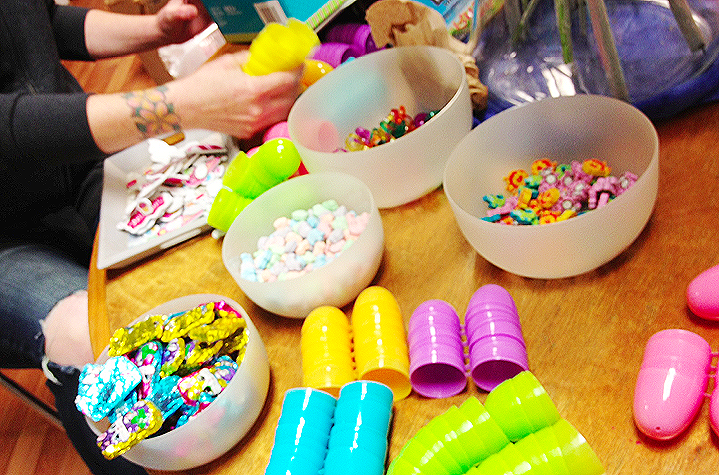 We stuffed 120 plastic eggs full of candy, stickers, and novelty rings. We prepped a bunch of Easter-themed activities for little ones, like painting balloons, making baskets out of a paper bags and pipe cleaners, and accomplished other important stuff like ordering my favorite pizza (Pizz’a Chicago!) and eating Manda’s Rolos. I’m really hoping that she and I can take a nice photo with the Easter Bunny this year, but I dunno if she’ll have time. 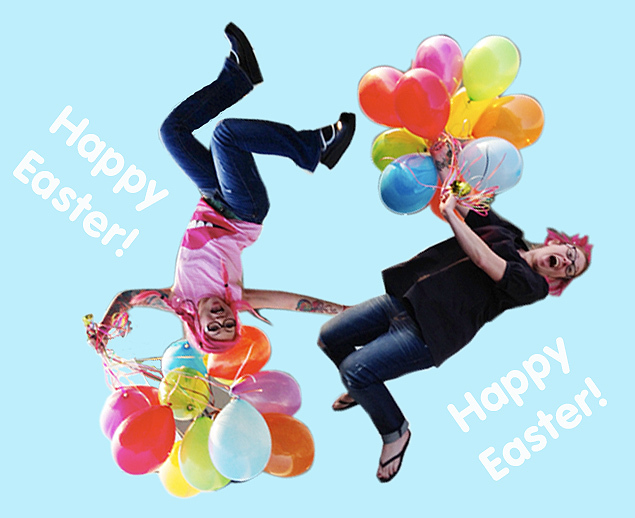 The last time we took an Easter Bunny photo, we did it on a whim, and we were wearing jackets and jeans. It was….. ugly. I told her next time, we needed to be in fancy dresses and look GOOD. SO MUCH PRESSURE!!! 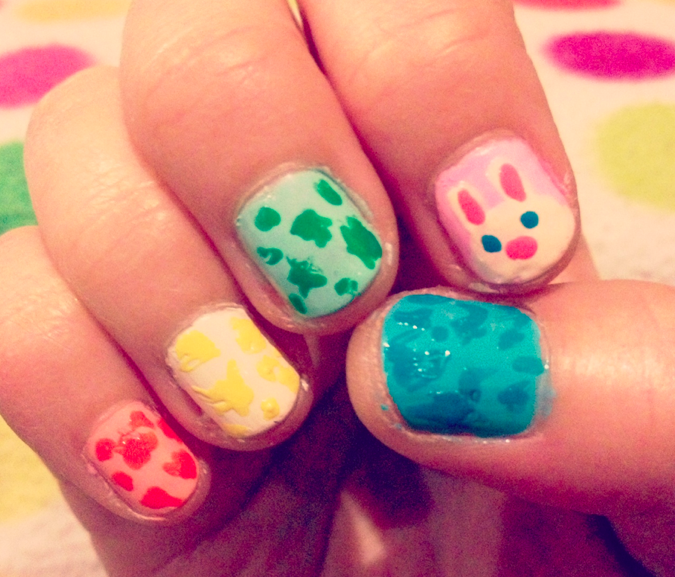 Anyway, inspired by my nail guru goddess Kelly-Anne, I painted a bunny on my nail. The other ones were supposed to be, like, Jelly Belly themed, but they just look like I had a seizure while attempting polka dots. Oh well. Live and learn! Do you guys celebrate Easter? My family doesn’t really do anything for Easter. My mom would leave out baskets when we were kids, but, obviously, that doesn’t occur anymore hehe. I’m going to brunch with Hairy and his parents, but that’s about it! Ah, so cute! I LOVE IT!!! I have seen that before, but I loved seeing it again!!! I am LUVING this! going shopping and trying this out, so super duper cute!